Welcome to the website of BAS - Bulgarian Aviation Services Ltd.
We provide ground handling support, airline representation and supervision. As a registered Tour Agent & Tour Operator, we offer wide range of options for scheduled/charter airline bookings, hotel reservations, transfers and other services. BAS Team is a synergy of professionals with more than 20 years experience in aviation industry and young dynamic personnel, which is a foundation to provide high quality services in compliance with operator standards. 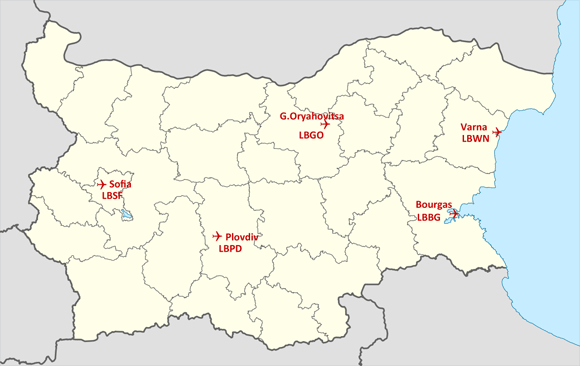 We are based in Sofia and we have our own facilities at Sofia, Varna, Burgas, Plovdiv and Gorna Oriahovitsa Airports.